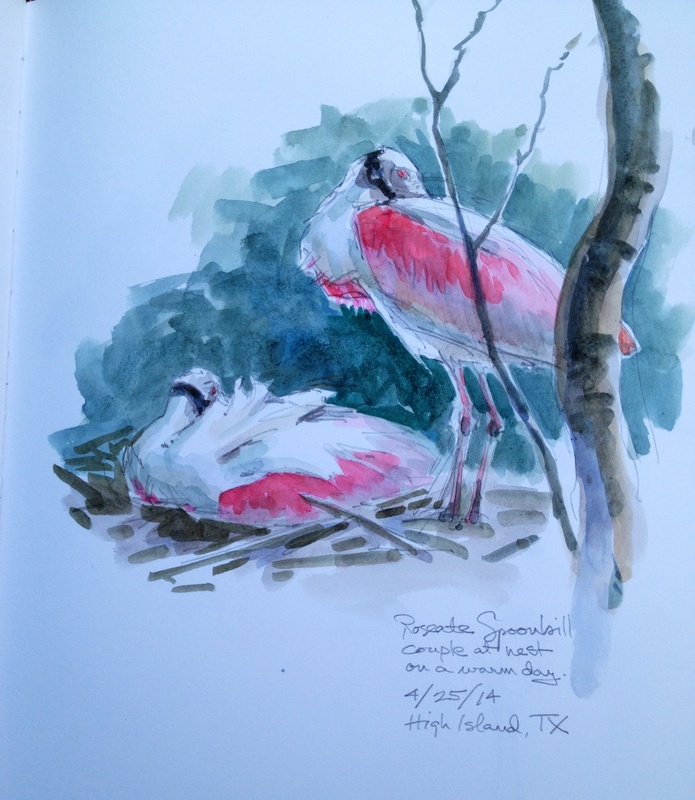 At High Island, Texas, famous for warbler migration binges- no one ever mentions the spoonbill rookery. Or do they? Watercolor over pencil on Stillman& Birn Alpha Series 8.5x 11 sketchbook.